Retail investor cash holdings are now back to the lowest level since 1999. We have seen throughout every cycle in history that the the retail investor (mom and pop) sell stocks after major declines and buy stocks after major rallies. 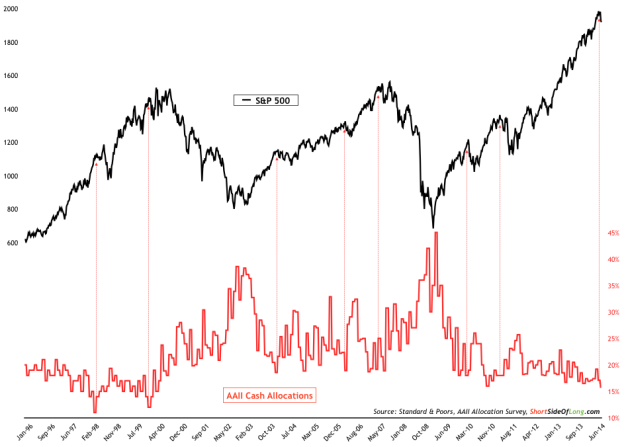 You can see the large cash holdings (red line) after the last two major stock market declines in the chart below. Investors are going beyond 100% "all in" and leveraging up their positions to purchases more stocks. NYSE margin debt is now back at all time record high levels. 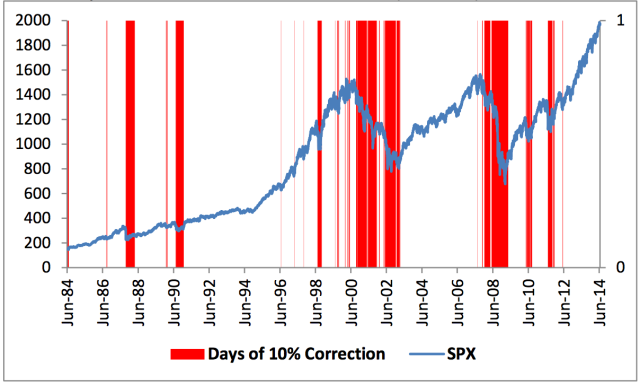 It has been 33 months since the U.S. market experienced a 10% decline. Many investors have forgotten such a decline is even possible. 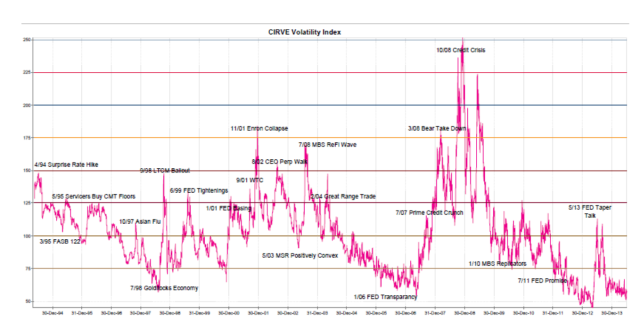 Investor complacency is approaching historical lows seen in the VIX (fear) chart below. We are now more than 5 years into the current cyclical recovery. Analysts tend to forecast a straight line higher in earnings, growth, etc. at the peak of market cycles. 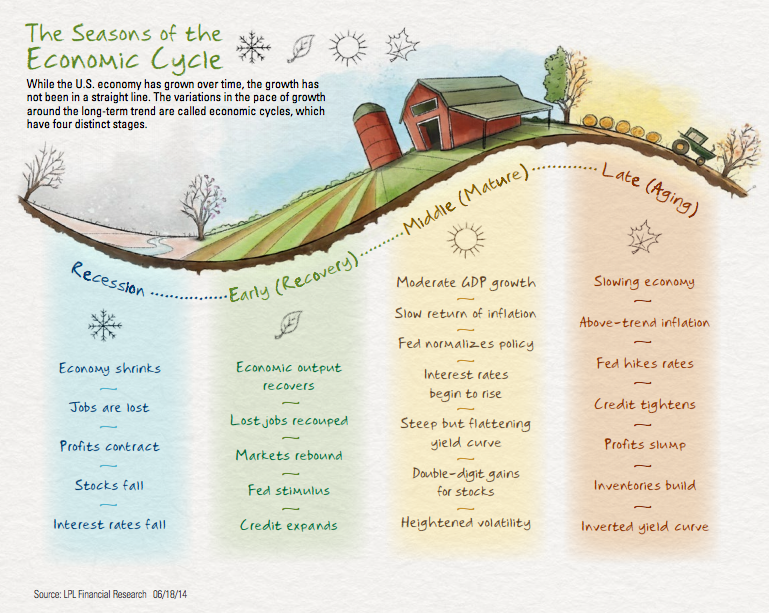 What would happen if we experienced a normal cyclical recession?